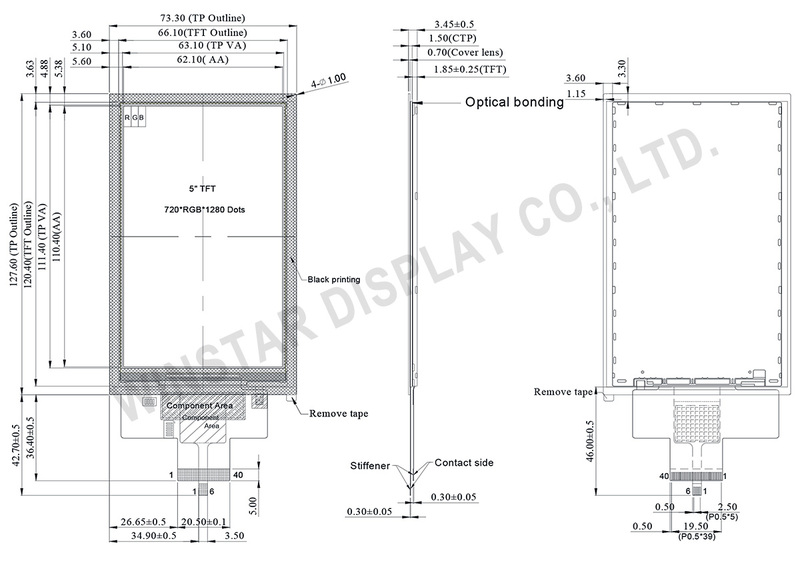 WF50DTYA3MNG10 is a 5 inch IPS TFT display with PCAP optical bonding technology on module. 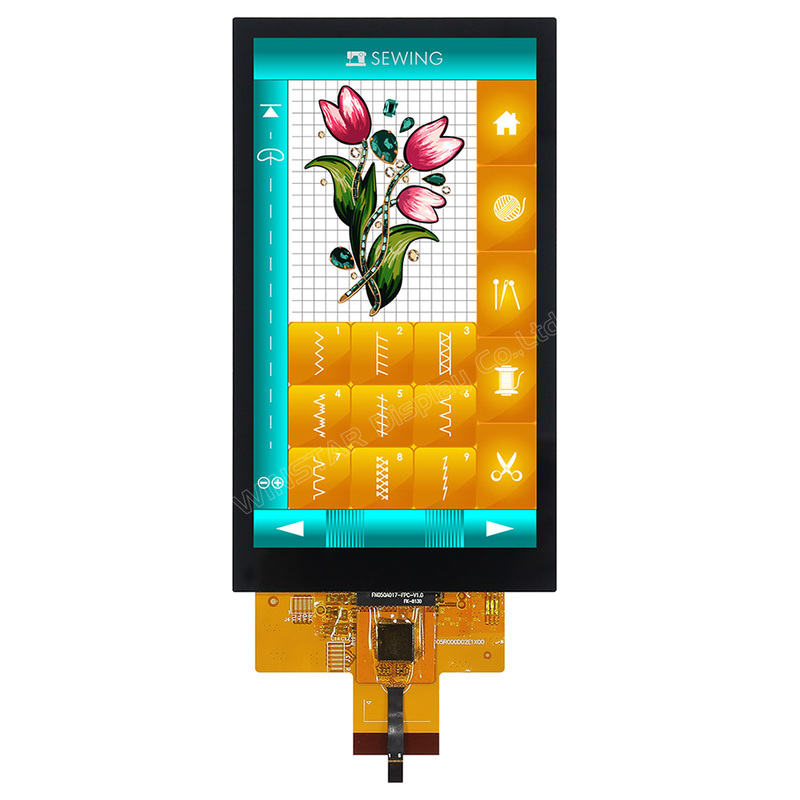 This 5 inch TFT-LCD module supports (Mobile Industry Processor Interface) DSI (Display Serial Interface) interface and is featured with IPS panel which having the advantages of wider viewing angle of Left:80 / Right:80 / Up:80 / Down:80 degree (typical) and having HD 720 x1280 resolution. It can be operating at temperatures from -20℃ to +70℃; its storage temperatures range from -30℃ to +80℃.